Homey, soothing and comforting is the best way to describe my Pressure Cooker Armenian Lentil Soup. Fragrant, spices, herbs and lentils, make this stew a “stick to your ribs” meal. Perfect for Vegans and Vegetarians. Sweet or Savory is the first question you will want to ask yourself, when shopping for ingredients. 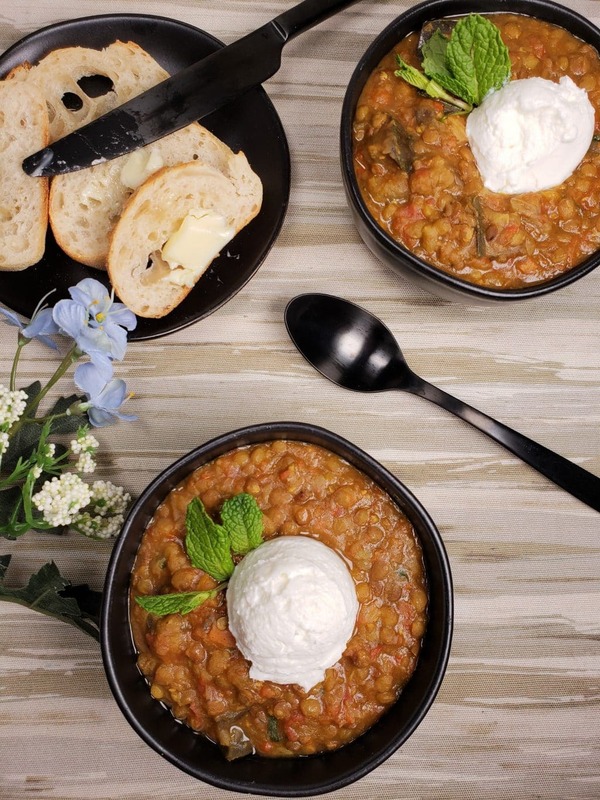 Dried Apricots or Golden Raisins, turn my savory soup into a sweet and delicious meal. Years ago, my dad, represented brothers Charles and Kegham Giragosian, who foundered the now defunct “Chicken Unlimited” chain of restaurants. My dad did all their franchise work. They would fly in from Chicago frequently to meet with my dad. Through them, I was introduced to Armenian food. The beginning of this recipe is basically just a Sofrito recipe. In fact, if you want, cook a double batch and package up half for future use. Using the Instant Pot or Pressure Cooker for making Sofrito, is super easy. 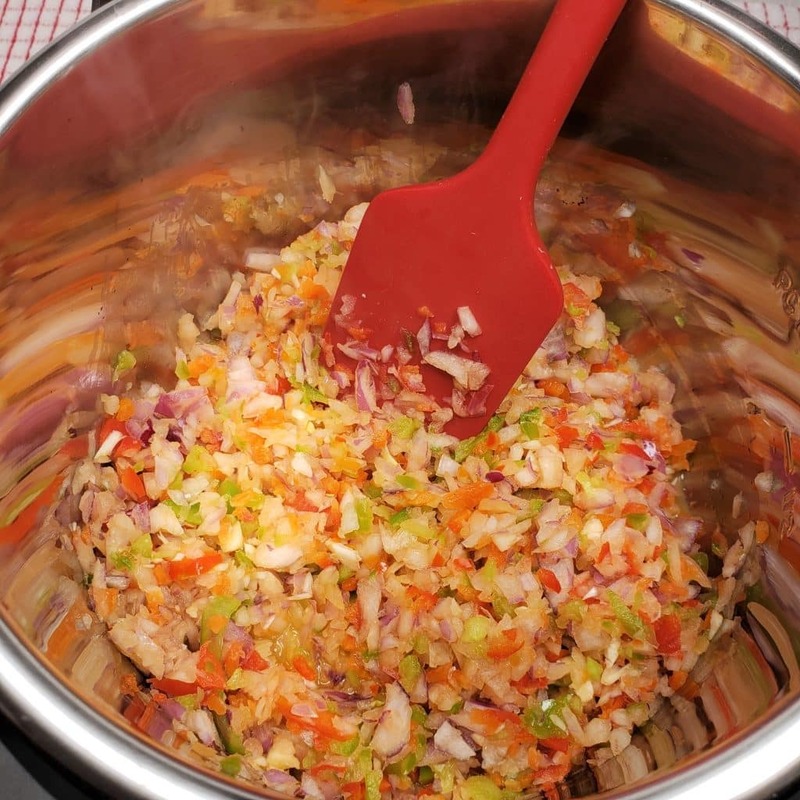 I have some shortcuts for this recipe, so don’t think you are going to have to spend much time chopping the vegetables. 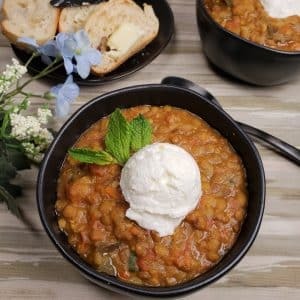 Is Armenian Lentil Soup Vegetarian or Vegan? Use vegetable broth for the liquid. You can even use just plain water and add some flavorful veggies too! I freeze this little flavor bombs for later use. 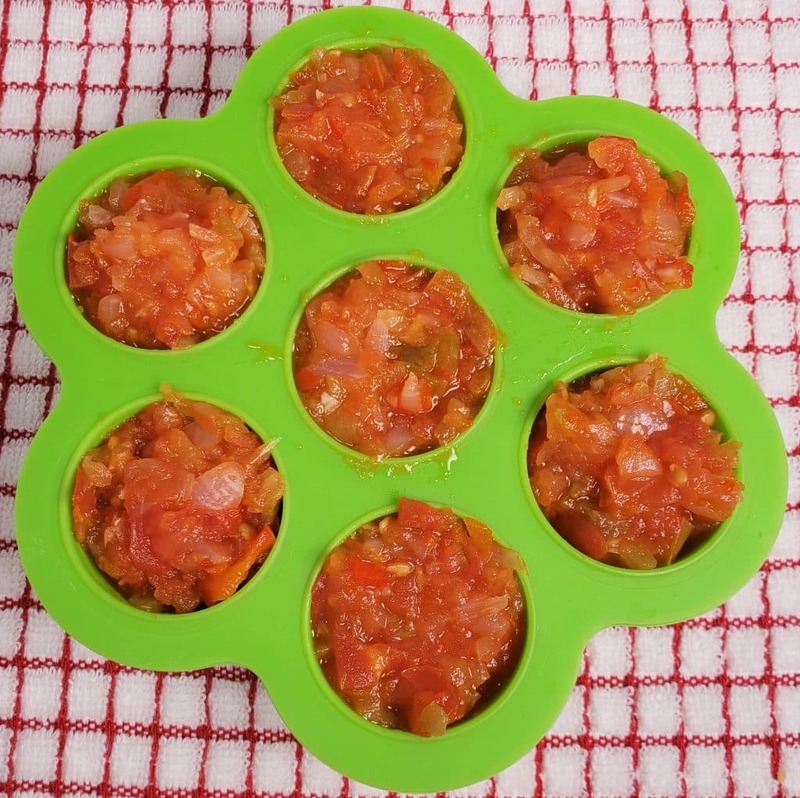 The cute little molds I use for Sofrito are these Baby Food/Egg Bites Silicone Molds. 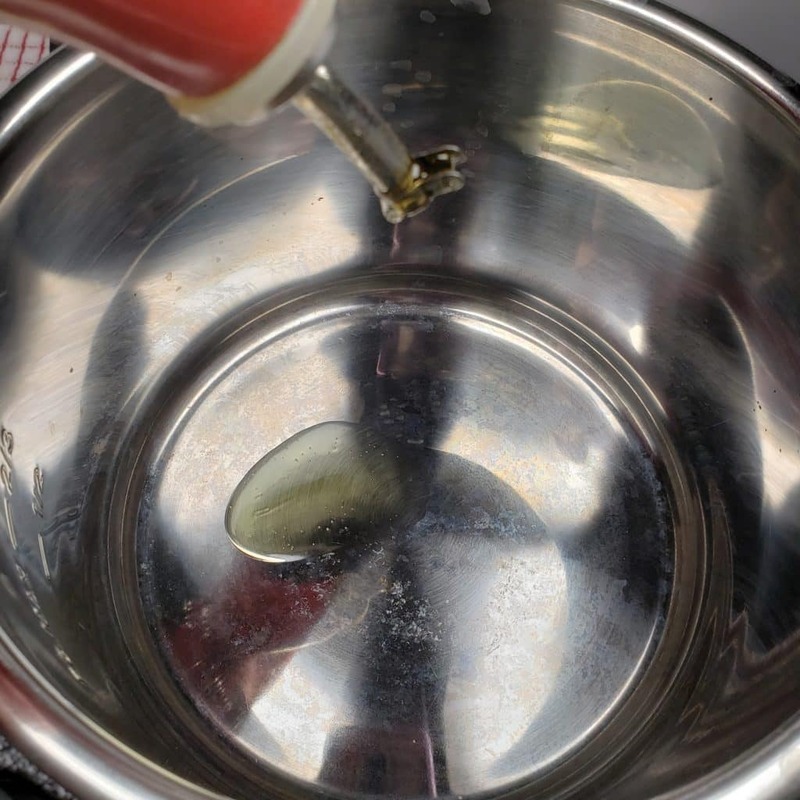 You can even used the Silicone Molds for my Cherry Cordial Cheesecake Bites, which are made in the Instant Pot or Pressure Cooker. Another recipe that is extremely popular using these trays are my Pressure Cooker “Sous Vide” Bacon & Jarlsberg Egg Bites! This RSVP Strainer/Steamer Basket. makes it easy to rinse the Lentils and check for any debris. 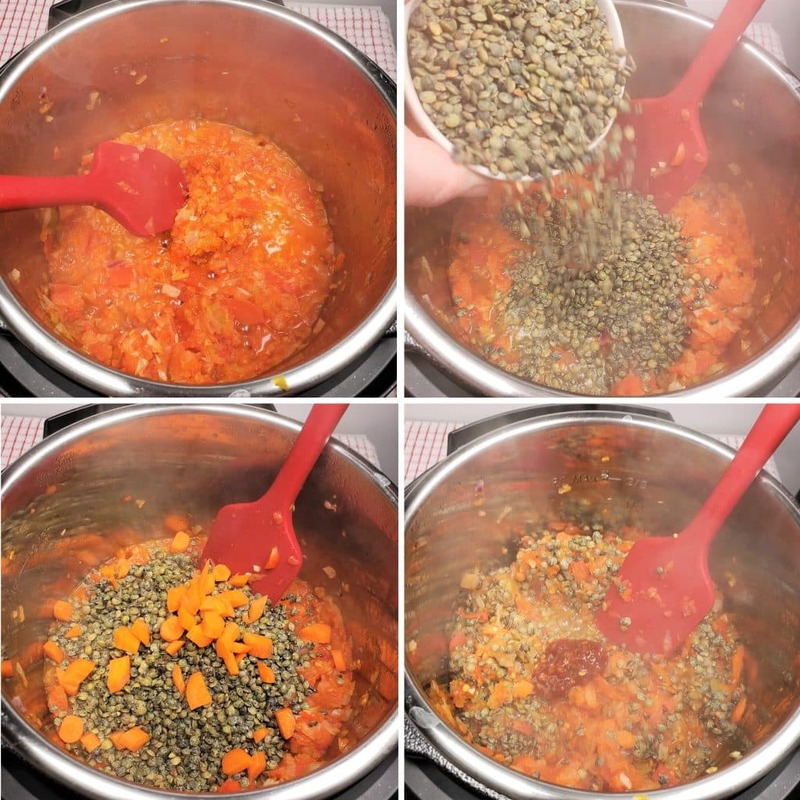 For this recipe, I use two types of Lentils, Green and Red. Green Lentils and Black Lentils are heartier than the Red Lentils. Red Lentils are great for when you want to bulk up a recipe, such as my Pressure Cooker Competition Chili Con Carne. 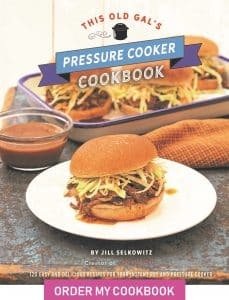 If you need to stretch a recipe, such as my Pressure Cooker Drive Thru Tacos & Burritos. 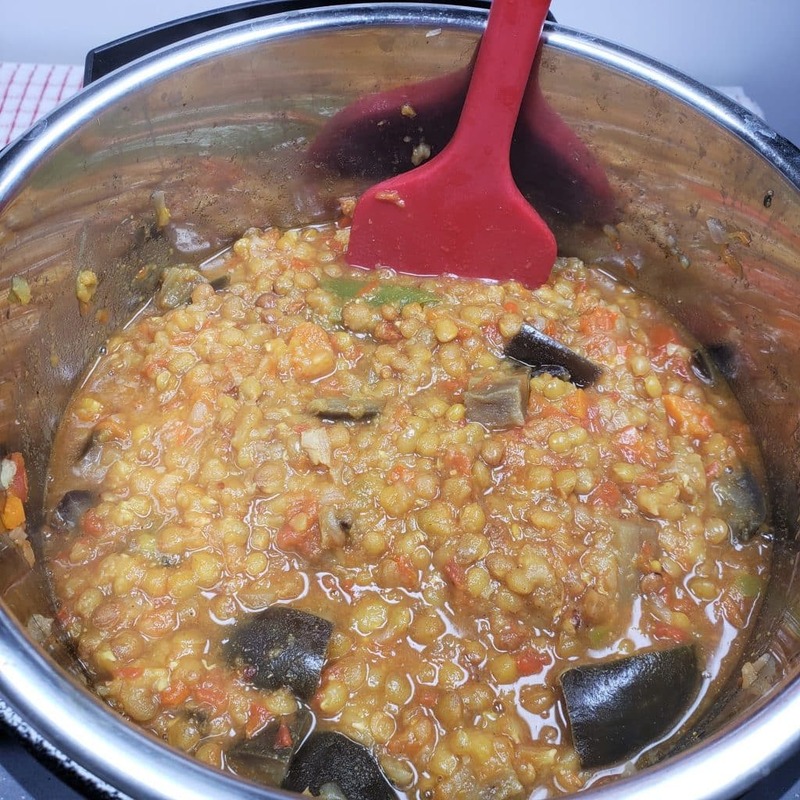 Red Lentils are the way to go. For those who love my Pressure Cooker Copycat Wendy’s Chili recipe, but prefer it to be less soup, add some Red Lentils! 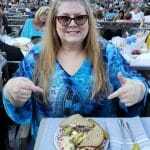 They add extra protein, iron and fiber. 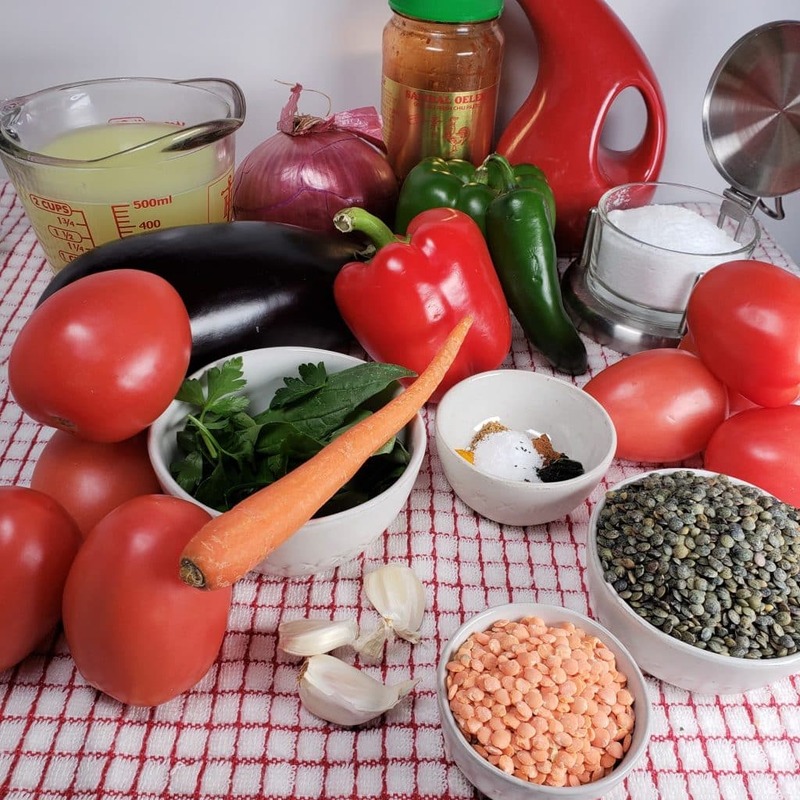 Another recipe using lentils is my Pressure Cooker Vegan Lentil Chili recipe. I have been raving about my Food Processor. Any Food Processor really! It’s really useful for my Pressure Cooker Italian Meatballs in Red Wine Sauce recipe. It is what makes my Pressure Cooker Beef and Lamb Gyros a success! Seriously, go take a look at the photos in that recipe. After calling my husband into the kitchen to chop the veggies for me, I said, wait, never mind. Whenever you want to Saute, Sear or Brown, make sure to always heat up the Instant Pot or Pressure Cooker. Then after your pot is as hot as it can be, add your Extra Virgin Olive Oil, or whatever fat you are using. For this recipe, the fabulous Kassandrinos Olive Oil is my oil of choice. Your stainless steel cooking pot will become non-stick. This whole recipe is super simple. 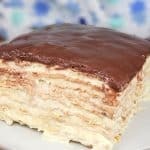 It is so amazing to achieve the vast of flavors in this recipe, with very little hands on work. While the bulk of the veggies are cooking, grab the seasonings. You will add them in later before pressure cooking. 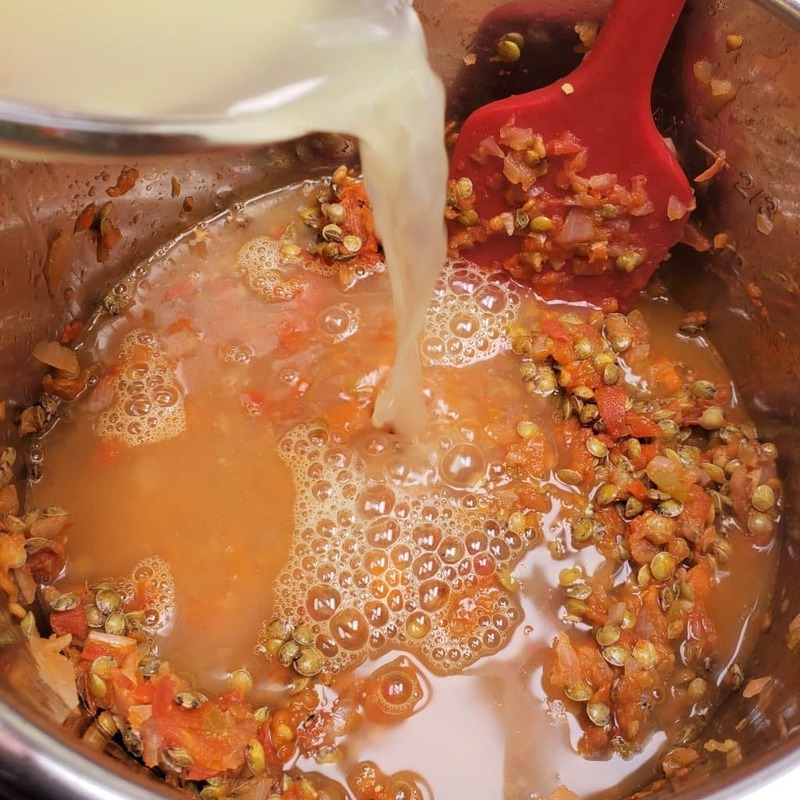 What Seasonings are in Armenian Lentil Soup? There are also fresh herbs, which get added in, right before serving. With this recipe, if you can totally add more veggies too. 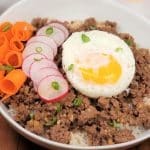 What is so wonderful about the Instant Pot and Pressure Cooker is that you can walk away and not have to worry. 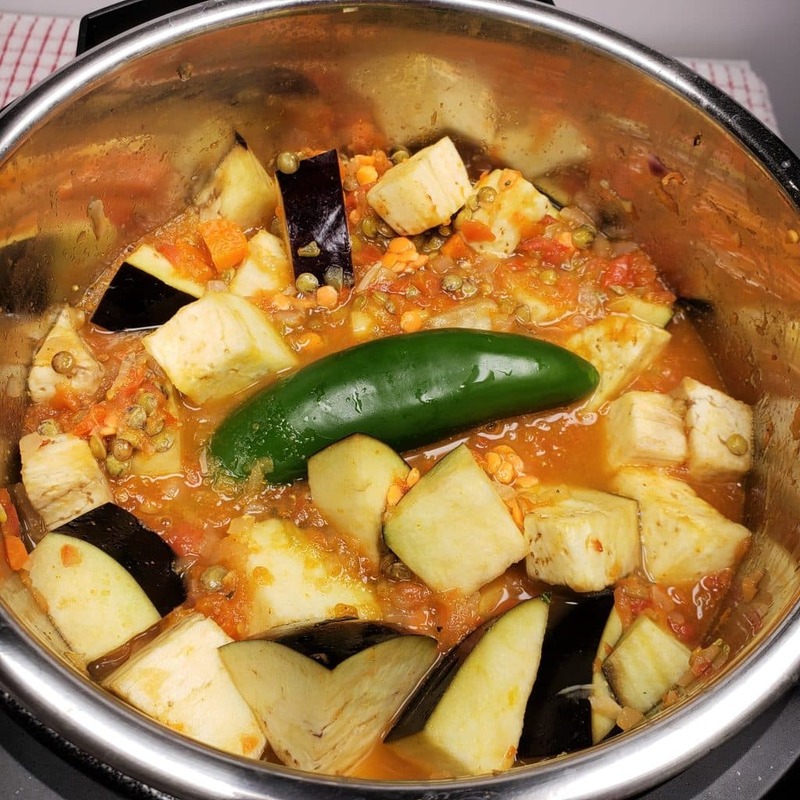 Since the cook time for this Pressure Cooker Armenian Lentil Soup is quite short, I wanted to give the veggies a chance to cook out much of the liquid before adding more ingredients. I just let them cook down, while I took care of some other chores. The Plum Tomatoes went into my Food Processor too. Once much of the water has evaporated from the vegetables, it is time to give the Green Lentils a bit of a Sauté. I’ve added just a small amount of carrots here to sweeten up the base. The Sambal Oelek Ground Chili Paste adds a nice flavor. For a soupier texture, feel free to add more Chicken Broth. You can use your own Pressure Cooker Homemade Chicken Broth. Better than Bouillon makes a nice Roasted Chicken Base, which you can use with Fresh Water. To keep it vegetarian, try using some Vegetarian Better Than Bouillon Base. With the Eggplant, peel it or don’t. I don’t bother, as it becomes very tender during the pressure cook time. Here is where all the seasonings go in, as we are just about ready to pressure cook. If you want to make a sweeter version, now is the time to add Dried, Diced Apricots or Golden Raisins. 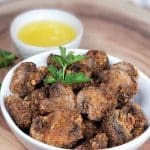 This dish is very popular with the dried fruit. Give the Jalapeño a pierce or two and we are good to go! For a spicier flavor, add two Jalapeños. Those little Green Lentils have sure puffed up nicely. You could add chopped carrots too. They would be very soft, but would be delish. Celery is another veggie you could add. This recipe is really just a guideline as there are so many ways to make a good Armenian Soup or Stew. But, one thing is for sure! Fresh Crusty Bread must accompany this soup! If you are a Sourdough baker, I suggest my Country Sourdough Bread recipe. For a quick Crusty Bread, which uses water or your leftover Whey from your Instant Pot Yogurt, try my Instant Pot or GoWise Yogurt Whey Crusty Bread recipe. Whatever type of herbs that you enjoy, toss them in. Fresh Parsley, Basil, Mint and Cilantro are nice to use. If you use Mint and Basil, do so sparingly. 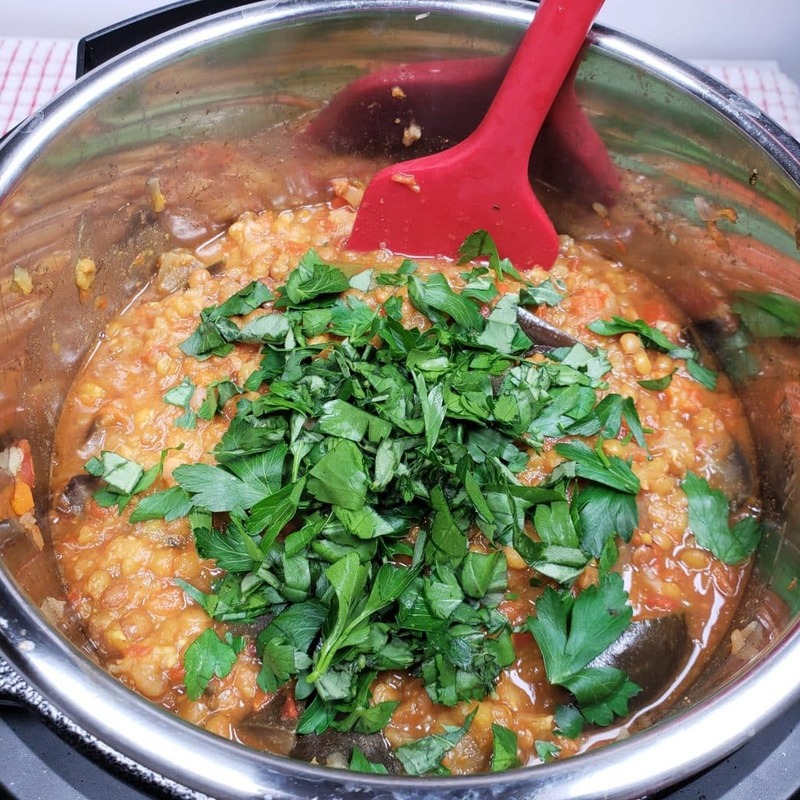 I make my Pressure Cooker Armenian Lentil Soup medium spicy. 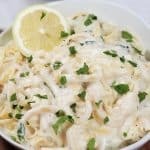 A big dollop of homemade Instant Pot Greek Yogurt helps to cut the spice and is mighty delicious with this meal. Grate an Orange Rind right before serving. I totally forgot to do that before photographing. Select Sauté on Pressure Cooker cooking pot and allow pot to fully heat. 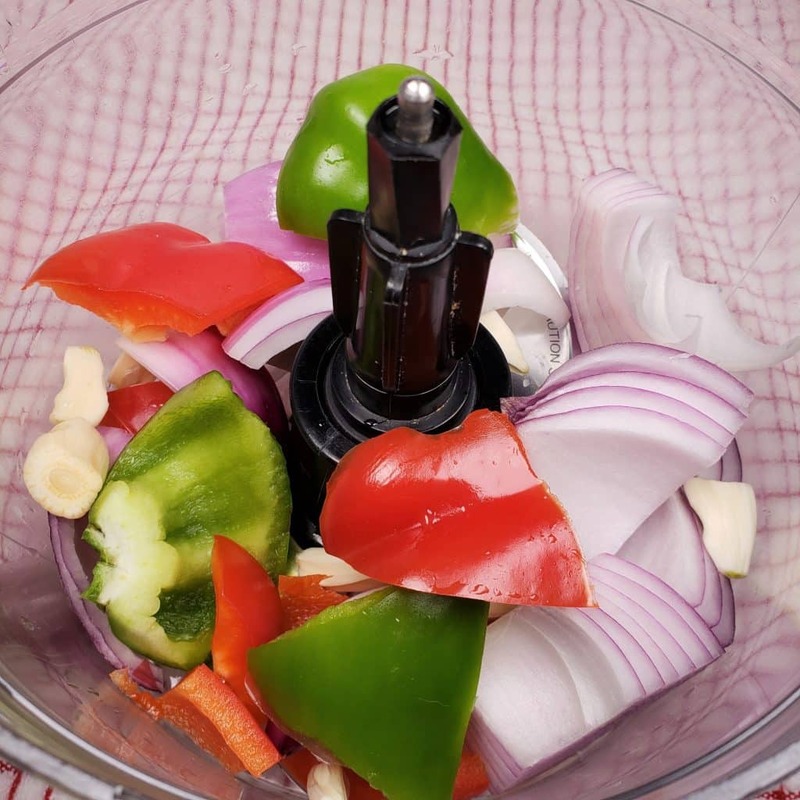 In the bowl of a Food Processor, add Onion, Bell Peppers, Garlic and process until chunky (or hand chop). Add Oil and vegetables to cooking pot and Sauté for 10 minutes. 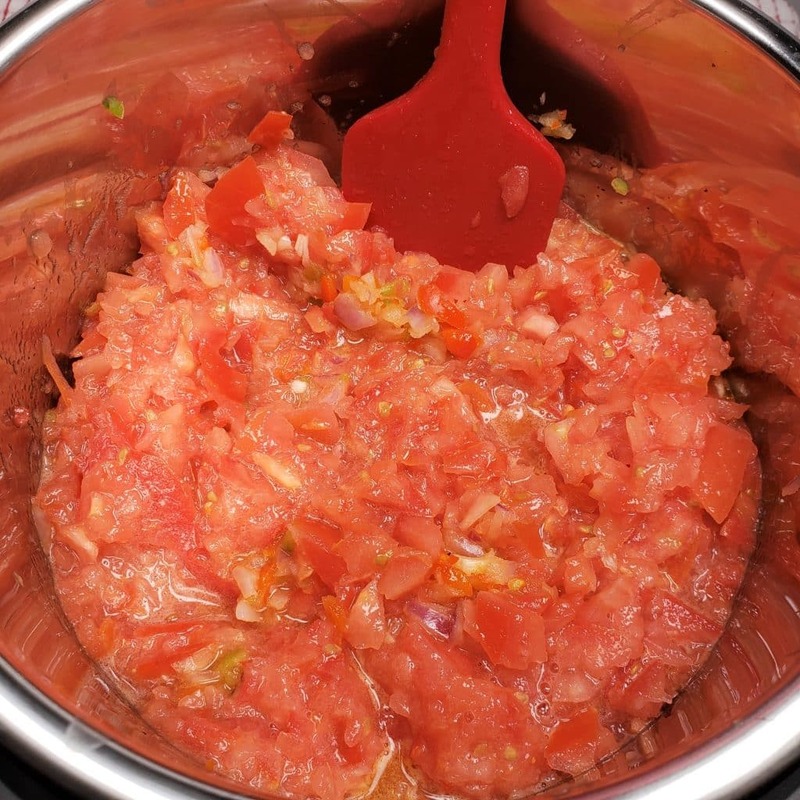 Chop tomatoes (using Food Processor) and add to cooking pot. Let cook down for 10 minutes or until most of the liquid has evaporated. You don't need to watch the pot during this time. While the vegetables are simmering and reducing, gather the spices and set them Aside. 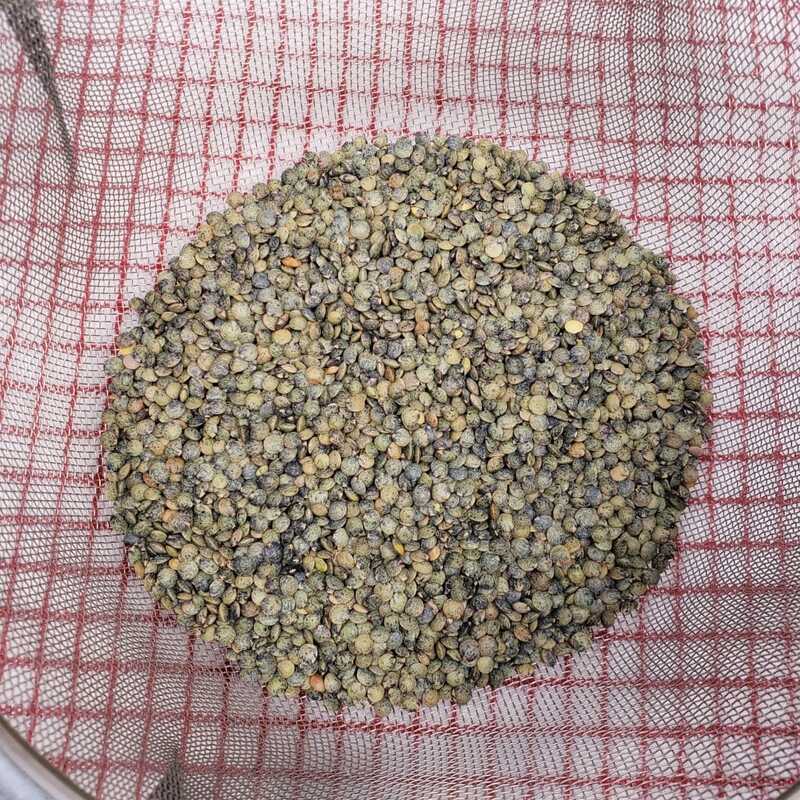 Rinse the Green (or Black) Lentils using a strainer basket and check for any debris. Set them aside. 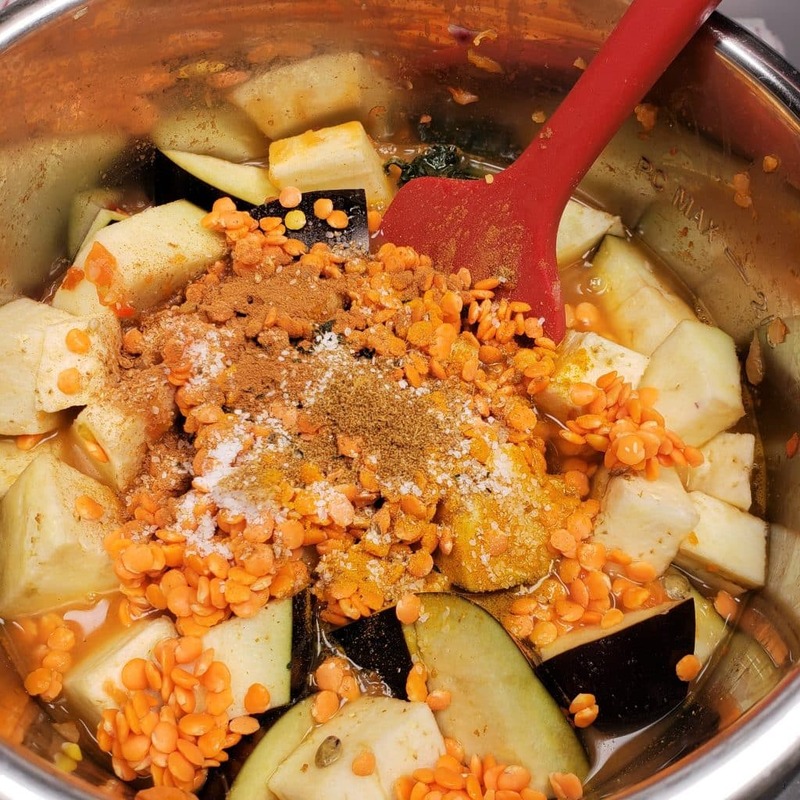 Pour in Chicken Broth, Eggplant, Red Lentils and all seasonings and mix to combine. Place pierced Jalapeño(s) into cooking pot. If adding Dried Apricots or Golden Raisins, add them now. Lock on Lid and close Pressure Valve. Cook for 10 minutes on High Pressure. When Beep sounds, wait 10 minutes and then release the remaining pressure. Remove Lid and stir in Fresh Herbs. Ladle into bowls and add a dollop of Yogurt and grated Orange Zest. Serve with a loaf of warm, Crusty Bread. A great meal for Vegans and Vegetarians. Just substitute the chicken broth for vegetable broth. When do you add the eggplant?